This guest post is from Bryan Russell, Marketing Manager, DNV GL Energy Services USA Inc. When Founders Brewing Co. recently expanded their Tap Room and Brewery on Grandville Ave in Grand Rapids, maximizing energy efficiency was an essential top priority. Not only are they a six-time winner of the World Beer Cup and one of the top-ranked breweries in the United States, they are also leaders of sustainability and environmental stewardship in their operations. At Founders, they are always looking for ways to lower their carbon footprint and save money, while at the same time creating a warm and inviting environment for their customers. They recently completed an addition of 56,500 square feet which was just one of many ongoing projects that demonstrate how state of the art heat recovery and controls from their brewing process can reap huge rewards. Founders has designed and integrated their brewing and HVAC systems to work together as a single unit. For example, waste heat is taken from the fermentation process and used to heat incoming air through their roof top units. This resulted in a 35 percent gain in efficiency. In another application, heat taken from the brewing process is used for in-floor radiant heating which resulted in an 85-90 percent reduction in heating costs. The process to ferment beer creates excessive CO2, so sensors have been employed to efficiently re-circulate fresh air where it is needed. Founders also made ventilation efficiency improvements, as heat taken from boilers is used to warm their domestic hot water which is used for cleaning their brewing equipment. As an added bonus, DTE Energy incentives lowered the upfront costs of Founders’ energy efficiency improvements. 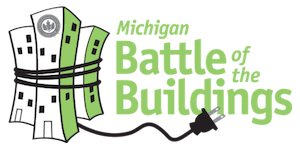 With the improvements made, Founders received $30,000 in DTE incentives and saved an estimated $2,500 monthly savings on their energy bill. Business owners, are you considering energy efficiency improvements, renovations or new construction? To learn more about DTE Energy energy efficiency incentives, call 866.796.0512, Option 3 or learn more visiting DTE’s business energy efficiency incentive website.